The Elegant and Sophisticated Eta Psi Chapter was chartered November 12, 1978 on the campus of Ohio University in Athens, Ohio. Eta Psi was chartered by 8 true beauties: Venita Brown, Robin Caldwell, Debra Green, Crezetta Howard, Regina Howard, Gina Hoy-Scruggs, Chevokalee Jones and Ballerie Wright. These eight women, inspired by the grace and wisdom of Sigma Gamma Rho’s founders, created a legacy that will live on forever. The legacy continues with its three newest members, inducted Spring 2018: Lakyia Banks Mack, Tatiana Farmer and Nirobia McKinney. 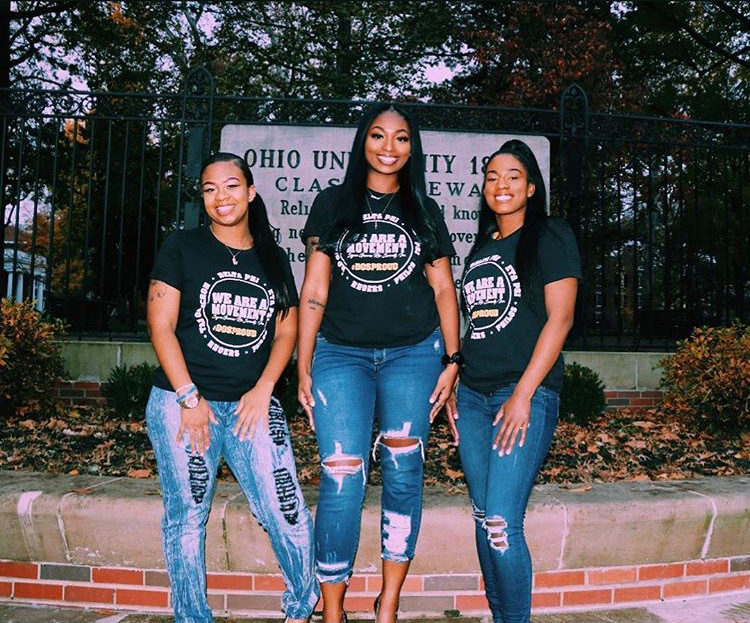 Programs such as “My Sisters Keeper” which helps to provide necessities for battered women, Self Defense Classes and “Meet and Greet” with OU’s advisors and professors are just a glimpse of the sophistication that is Eta Psi. The Eta Psi Chapter continually exhibits elegance and excellence in Athens community through sisterhood, scholarship and service.